* Written this past Thursday when I was on my way….I just got home last night (Sunday). Had a BLAST!! More to come! I’ve been quite the traveler lately! As a homeschool mom of 3, I don’t get out much. Really I don’t!! But lately it seems like every time I turn around, a new adventure awaits! 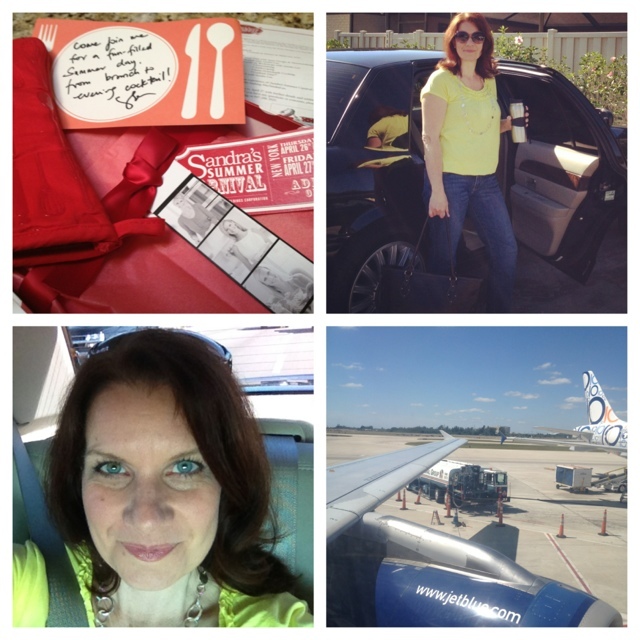 Last weekend my good friend Michelle and I embarked on a food blogger road trip. We headed to Tampa for TECHmunch, a more intimate food blog conference than most put on by Babette of Bakespace. I have so much to share on that, but it’ll have to wait for a different post. Today I’m typing from 37,000 feet in the air! This time I’m headed to New York City for Sandra Lee’s Summer Carnival! I received the invitation a couple weeks ago along with a small group of bloggers….some I even met back in January in Chicago at the Kenmore Blogger Summit. Thankfully this time I won’t be flying into a blizzard, and I’m loving this non-stop flight with Jet Blue. * I’ll be staying in the heart of Midtown Manhattan! 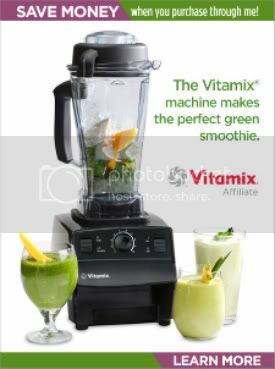 * We get to meet Sandra Lee of Food Network fame, and have a sneak peek at her new product line coming out. From what I’ve seen on pinterest already….we’re in for a treat! * I get to spend time with food blogger friends! * And I can’t forget to mention that this will be my first visit to New York City!!!! Yes, seriously! I can’t wait….I know I’ll be in AWE!! 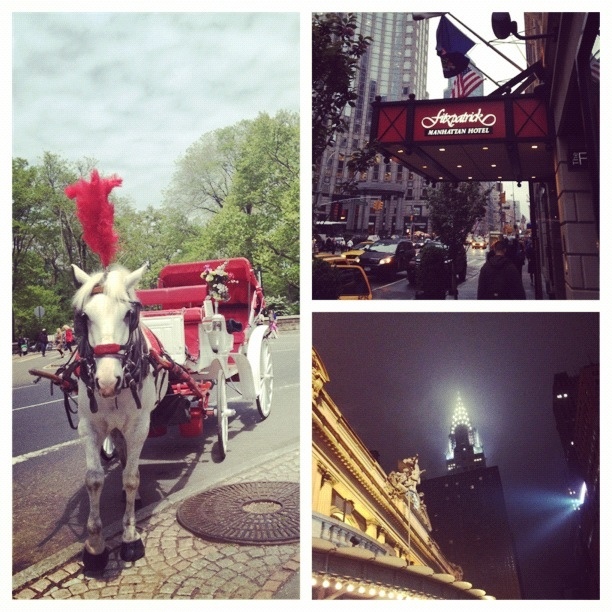 Yes, this post was written pre-visit, and I fell in love with New York….no surprise there! I have so much to share over the next few weeks. Life has been a whirlwind lately….but so much to come and wonderful pics I can’t wait to show you. Here is a collage I made of a few of the highlights…..
14 Responses to Sandra Lee Summer Carnival ~ New York City! ooo how exciting!! I’ve never been to NYC but I soo want to! You def have to go!! I want to bring hubby next time. Aly – oops sorry! Didn’t realize. 🙂 Fell in love with NYC! What fun! I still have yet to get any face time with a fellow blogger, so just that experience is great within itself. I have never been to NY and I am sure I would have a hard time squeezing in all the things I would want to see and do. Also, I doubt if I could even sleep there with all the excitement. So happy for you, you visit will definitely be one of the highlights of your life. Enjoy! Thanks Tina! You def have to get to a food blog or blog conference soon. Meeting others like yourself is a have to. And food bloggers are so much fun!!! Such a lucky girl… glad you had fun & I’m happy you’re home! I feel very blessed, and yes…happy to be home now. What a great hubby to have the girls 2 weekends in a row! Love him!! The pictures are stunning! II wish I could go there someday. The summer carnival look fantastic. Why did you choose New York for a vacation trip? Thank you for posting your marvelous summer experience Sandra! So excited that you finally got to visit NYC and too boot with food bloggers! I hope you had a little downtime and had the chance to eat at as many places as possible! 🙂 Can’t wait to read the rest.